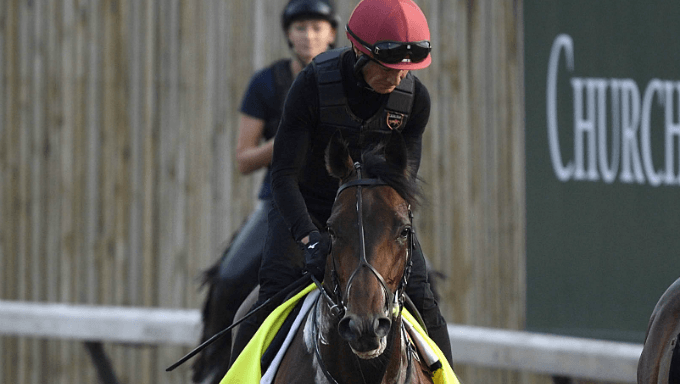 Bet Mendelssohn to Win, Place and Show with Betfair. Bet Accelerate, Mendelssohn, McKinzie and Pavel in a trifecta box with 888Sport. Even if horse racing betting fans end up settling with the favorite, Accelerate (5/2 with Betfair) , you will end up with a very solid price. Opinions are so spread out this year in the Breeders’ Cup Classic, so the money should be as well. Accelerate has been, by far the most consistent horse in this year’s field, but there has to be a question of quality in who he has beaten. If you are playing a pick-4 or a pick-6 in your Breeders Cup betting, there is no question he must be included on your ticket. There’s just too many other horses that will be better prices if you are betting to win or across the board. Yes, yes I know he ran terribly in the Kentucky Derby over this same track. The reality is that a lot of good horses run as bad each year in the Kentucky Derby because it is a 20-horse field. I am a fan of his three races since. A lot was asked of him early in those races, especially his recent run in which he was chasing an unsustainable pace and each time managed to stick around at the finish where most horses would have completely folded. Ryan Moore needs to not be so aggressive and instead allow this horse to relax just off the pace. That is the key to his success. If he does, the finish will be a different story. Betting Mendelssohn at 12/1 with Betfair is a must across the board, as well as being utilized in exactas, trifectas and superfectas. If Baffert Wins, Which One Gets Him There? This is a tough call. I have wrestled with this for quite sometime. McKinzie (6/1), as Baffert has told everyone, was his top Kentucky Derby prospect but suffered setbacks that kept him from running. It was his top Derby prospect that shared the same barn as eventual Triple Crown winner, Justify. That is a frightening thought. But did McKinzie run too big in his comeback? I personally don’t think so; I think this horse has yet to produce his best race. He is has gotten faster each time he runs and I expect that to happen again. As for West Coast (5/1), he has not been the same since the beginning of the year and he ran some huge races to close out his campaign last year. He simply has not been able to come near those races. I worry his best is behind him. Mike Smith had the choice, if it’s Baffert it’s McKinzie in the Classic. While this will be the “Wise Guy Horse” for the majority looking to go against the grain in the Classic, the reality is that Mind Your Biscuits (6/1) has nothing to lose. His stud deal has been done for several starts now. He’s already proven himself to be a top sprinter. Sure, he won at Churchill going long last time out, but it’s tough to ignore the soft competition behind him. Toast of New York was closest to him and he was left out of the Classic by the selection committee. I applaud their gameness; a top-four finish is a win for Biscuits. Did I mention he will be the Wise Guy horse? Yeah, those never win. Bet Mendelssohn across the board with Betfair and put together a four- or five-horse trifecta box, depending on your budget. Personally, I’m boxing Accelerate, Mendelssohn, McKinzie and Pavel in a trifecta with 888Sport.